Spectacular Weekend Getaway OR primary residence! Are you looking for a quite place to get away? Open concept Living/Dinning/Kitchen. The large family room that greets your guest has laminate flooring and is truly the heart of the home. Kitchen has been upgraded with granite countertops and plenty of beautiful cabinets. Bath has upgraded tub and sink. Large enclosed patio, great for entertaining. This amazing property is private, unrestricted and it sits on 2.1 acres; The acreage is fenced off and includes a pond. 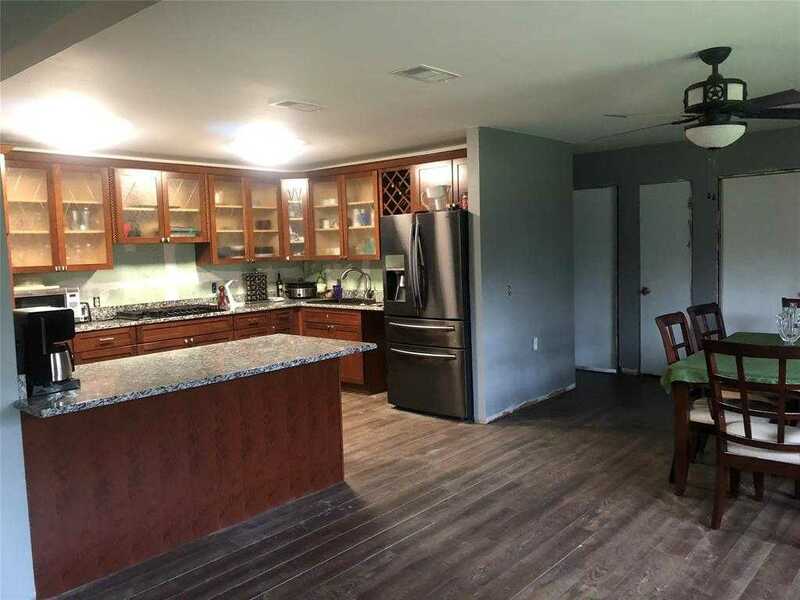 Circle driveway, storage building, separated fenced in dog area, Located just minutes from Lake Livingston! Wonderful property waiting for your TLC! Make your appointment today. It Won’t Last Long!